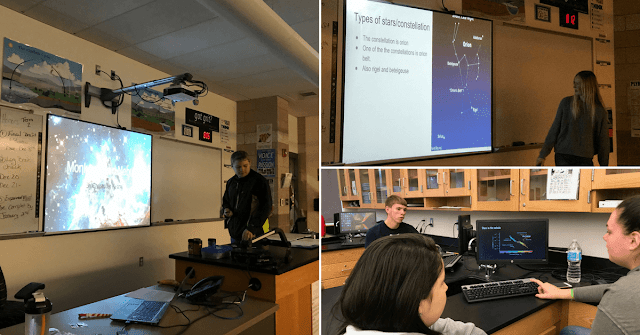 This past fall, Insight Observatory had the pleasure of collaborating with Karen Merrill and Sawyer Thompson's Earth Science classes at Plymouth North High School located in Plymouth, Massachusetts. This was the first project Insight Observatory had undertaken with high school students utilizing their remote Astronomical Telescope for Educational Outreach (ATEO). Plymouth North High School Earth Science students researching and presenting their research projects using the Astronomical Telescope for Educational Outreach (ATEO). 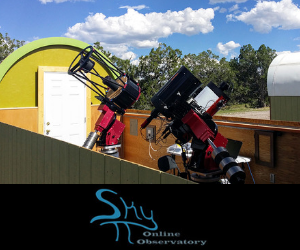 Ms. Merrill stated "This unique experience gave students the opportunity to gain access to a remote telescope located in New Mexico. 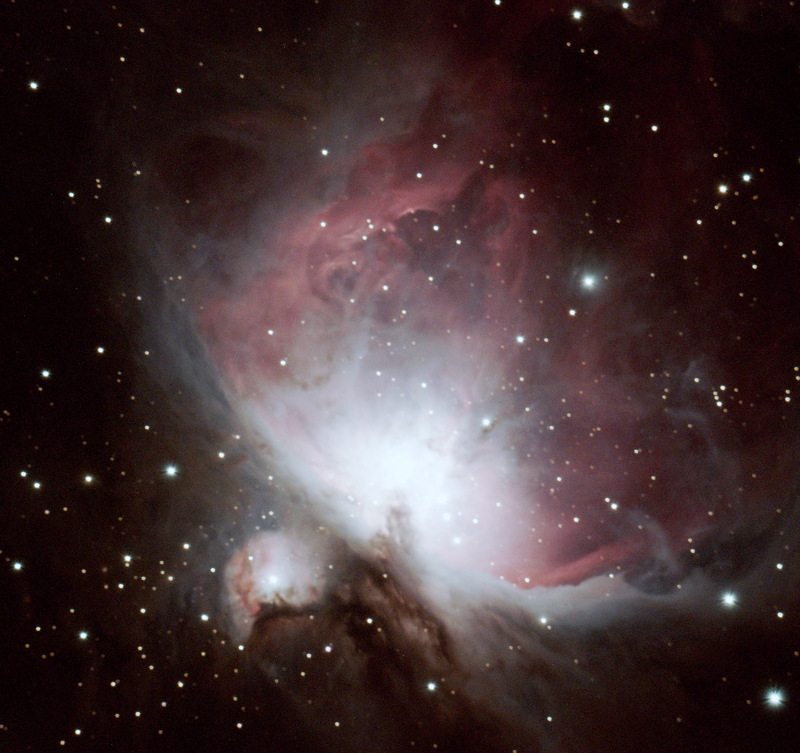 Students remotely requested an image of their assigned celestial body (nebula or galaxy). Students then researched their celestial object, mapped it using constellations, and created a presentation to teach the class about their object. Students highlighted their image by giving a detailed description of how their object formed and how long it has existed in the universe." Both instructors used Insight Observatory's Educational Image Request (EIR) application that allowed each student to submit their image request to the remote telescope's imaging queue. After the student submits their assigned image request, the EIR application then sends a receipt to the class instructor so the instructor can keep track of the class' submissions. 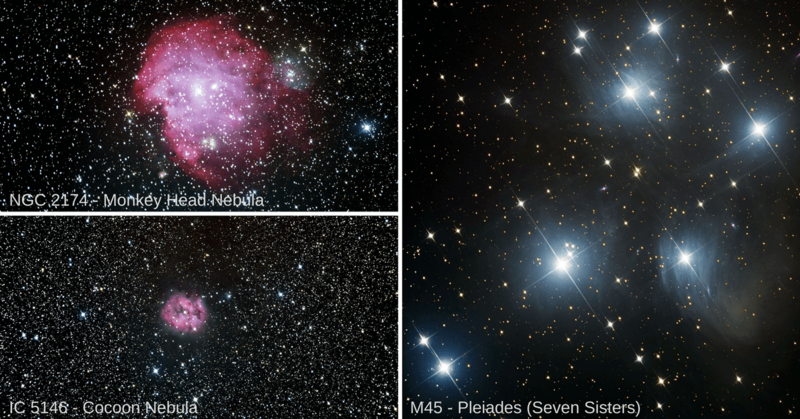 Examples of Deep-Sky Objects imaged on the ATEO by the Plymouth North High School students. There were roughly 100 image requests submitted between both Ms. Merrill's and Mr. Thompson's classes. The students selected their imaging targets by referring to the DSO Browser website. This online resource lists all of the deep-sky objects that are visible in the current night sky.